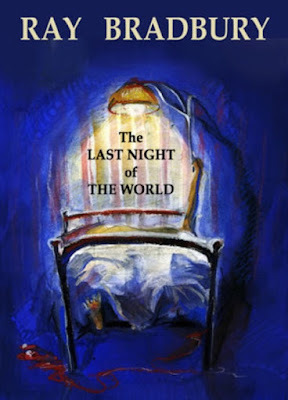 Anatoly's blog: What would you do if you knew that this was the last night of the world? What would you do if you knew that this was the last night of the world? What would you do if you knew that this was the last night of the world? - this question was asked at the beginning of the short story written by Ray Bradbury "The Last Night of the World". The writer described the conversation between the spouses about this news in a very routine manner. The feelings of the ordinary daily routine were completed in the last passage of the story when the wife stood up from their bed saying "I left the water running in the kitchen. I turned the faucet off." (faucet: a device that is used to control the flow of water from a pipe). The readers would probably expect to see the dramatic effect, as a result of a turning point of their life's. The writer decided on another: nothing happened, they said good night each other and fell asleep. It could be classified as an anticlimax (anticlimax – а conclusion that is unsatisfying because is does not meet the expectations that the narrative has been building toward). The question posed in the title of the story seems dramatic, however, it is only part of the time related to the end of the period. Everyone understands that everything has a beginning and an end. It is very interesting how genius writer described details of everyday life for the purposes of giving the readers an extraordinary impression of ordinary acts.